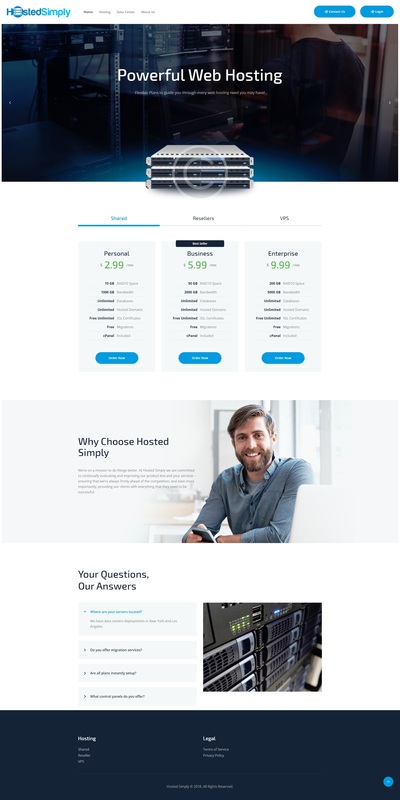 Peter from HostedSimply sent in a great Spring Black Friday weekend sale on some SSD and SSD Cached VPS offers in Los Angeles and New York. They are now offering a Pure SSD VPS equipped with 6GB RAM, 80GB SSD storage, 10TB bandwidth for just $39/year. For the same price, you can also opt for a SSD Cached version which includes 160GB of SSD cached storage. Looking for less power? They are offering a 4GB plan for $25/year as well! Upgrade to 1Gbps for just + $1.50/yr! Spamming every day from both Alpha and Woothosting both. No links to unsubscribe. These people are garbage!! You have been warned. DO NOT BUY!!! @lowendbox You shouldn’t postpone your comments, as of right now you have 0 comments for this garbage company which is what happened the last time, where you allowed others to get a service from them only to find out it was garbage but allowed the positive comments to come in first. I personally been having trouble with them. Servers magically keep going offline, then they tell me I should check my side. Really? How can I do that when it is offline? Of course the first occurrence was due to excessive conntrack sessions, but which I fixed. Also having issues with spam listings from previous abusers. They keep telling me they will take care of it, but never do. They did this to me as well. Everytime I had an issue it was always my fault. I also had an issue with being blacklisted, when I asked them they said no you have a fresh IP. Was not a fresh IP. Does anyone know any good VPS cause both alpha and HostedSimply are a joke and customer service is terrible. Garbage I keep having issues and they changed my ip address without my authorization.